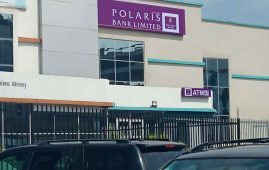 Polaris Bank – Are you result oriented, smart, innovative and customer -centric? Do you have the right attitude to thrive in a highly motivated work environment? If yes, then you can become a part of Polaris Bank family! We are in search of passionate , result oriented candidates willing to work across our 300 plus branches within Nigeria to build a banking career. At Polaris Bank we pride ourselves as being an employer of choice. We offer a competitive work environment and attractive compensation and incentives that enable our employees meet their career aspirations. A university degree with a minimum of Second Class Lower from an accredited institution. A minimum of five (5) credits including Mathematics and English in O’ level (WAEC/NECO), not more than one sitting. Fill in your details via the career portal. Test date is Saturday, April 27, 2019.